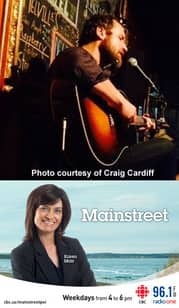 Craig Cardiff is a very busy Singer/songwriter. The Juno and Canadian Folk Music Award nominee tours relentlessly, has a catalog of 20 albums and works as an independent musician. He's been busy on PEI giving music workshops at UPEI and performing. 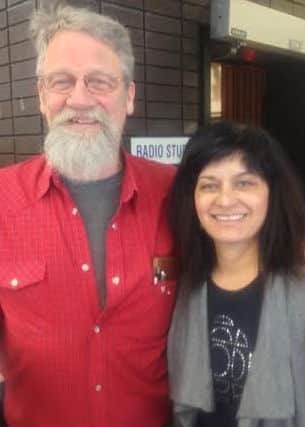 Craig Cardiff joined Karen Mair in the studio. Fri., 13 – Help My dog just tore down my blinds!